Lisa Godfrey, a Licensed Practical Nurse at the ConnextCare Fulton office was recognized for twenty-five years of service. Godfrey most recently joined ConnextCare in 2013 when ConnextCare assumed the operations of the Fulton Health Center from Oswego County Opportunities (OCO). Godfrey joined OCO at the Fulton Health Center in 1993. She received her practical nursing license from Oswego County BOCES in 1984. Meet your Doctor: Patrick J. Carguello, D.O. Shown from left after the breakfast to announce the new name for NOCHSI is Penny Halstead, senior administrative assistant, Richard S. Shineman Foundation; Tricia A. Peter-Clark, vice president/chief operating officer, ConnextCare; Karen Goetz, executive director, Richard S. Shineman Foundation; Dan Dey, president/chief executive officer, ConnextCare; Michael Backus, chairman, ConnextCare board of directors; and Patrick Carguello, senior vice president/chief medical officer, ConnextCare. Northern Oswego County Health Services, Inc. has announced it has changed its name to ConnextCare. 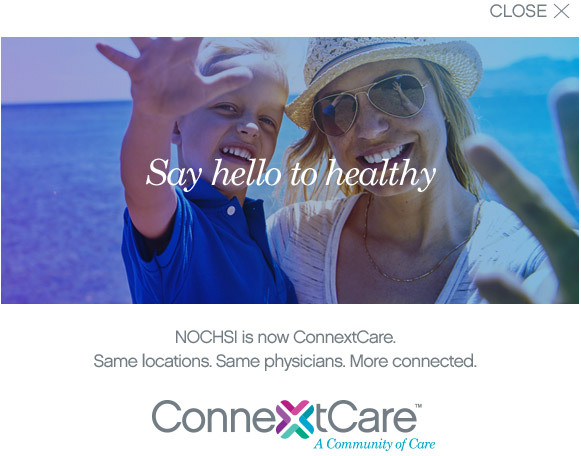 The health care network, which has served Oswego County residents since 1969, adopted the new name, ConnextCare, to better reflect its growth in staff, services and locations, according to Daniel Dey, president and chief executive officer. Northern Oswego County Health Services, Inc. (NOCHSI) announces the expansion of it dental services with the opening of a new dental practice and the hiring of new dental providers. On June 5, NOCHSI opened its newly constructed and equipped dental practice immediately adjacent to its Fulton Health Center at 510 S. 4th Street, Suite 600 in Fulton, in the former A.L. will be joined in Fulton by recently hired dental hygienist Patricia Bendura, R.D.H. Appointments can be scheduled by calling 315-297-4760. Each year, the Pulaski Health Center awards a scholarship in memory of Kathleen A. Ellis, the first nurse practitioner in New York state. Ellis was well known in this area. She worked at Northern Oswego County Health Services, Inc Pulaski Health Center and also spent four years working at NOCHSI's Mexico facility. The community mourned when Ellis lost her battle with cancer and died in December 1996 at the age of 52.
at the Pulaski Health Center”. Effective April 1, 2017 NOCHSI will be centralizing its weekend services at its Mexico Health Center. location for walk-in or weekend services. OCO Cancer Services – A Real Life Saver! As coordinator of Oswego County Opportunities Cancer Services Program Carolyn Handville often hears the phrase, “Thank You!” However, when it is followed with “You saved my life!” it really brings the program’s impact into focus. One year ago Phoenix resident Renee Bidwell visited the NOCHSI Health Center in Phoenix with a rather curious health concern. The program is a partnership between the Northern Oswego County Health Services, Inc. and the Health Foundation for Western and Central New York. On September 15, 2015, the United States Department of Health and Human Services (DHHS) announced Northern Oswego County Health Services, Inc. (NOCHSI) as a recipient of Affordable Care Act Health Infrastructure Investment Program (HIIP) funding to increase access to behavioral health services. NOCHSI will receive $1 million to establish an onsite behavioral health program and related facility improvements at its Pulaski Health Center (PHC).